What does quality embroidery mean? While you do use a computer to do lettering, it is not that simple. For every name you have to tell, density, pull compensation, size, spacing, etc. This changes depending on the fabric type. Below are some examples of just what quality and poor quality embroidery looks like. 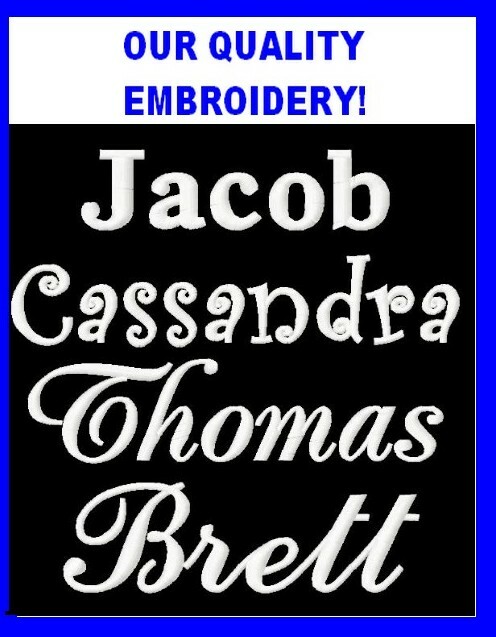 Lettering is meant to be satin stitches. These are the prettiest stitches. 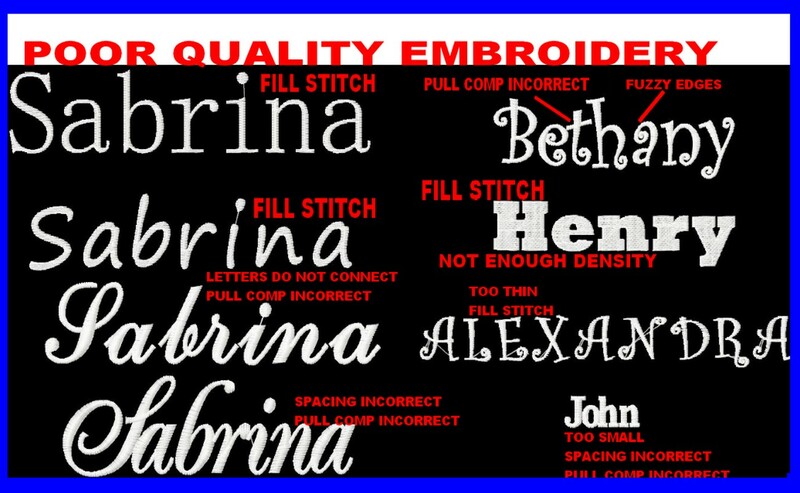 Only in certain instances (like a logo) would you want fill stitch lettering. Fill stitched names is a sign of poor quality! At Lady Linen & Co. we do not skimp on the quality of our embroidery supplies. 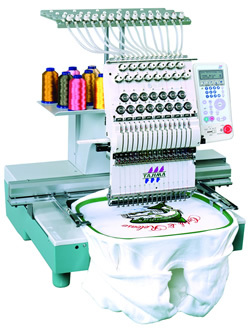 Our embroidery machine is a Tajima Neo Single Head 15 Needle Commercial Embroidery Machine. We use Madeira PolyNeon & Isacord Polyester commercial grade thread. These are the 2 best brands in the industry. Both are chlorine bleach resistant. Embroidery requires backing and sometimes topping. Their are many different types based on the nature of the fabric. On each garment we determine the best combination to ultimately give the best possible quality & useability. We use water soluble topping on many of our products. What this does is makes the stitches more smooth which improves the beauty. We actually do our best to dissolve the topping with water prior to shipping, if for some reason you see a a cellaphane type product on your embroidey, this is the topping. It will gone after the 1st washing.